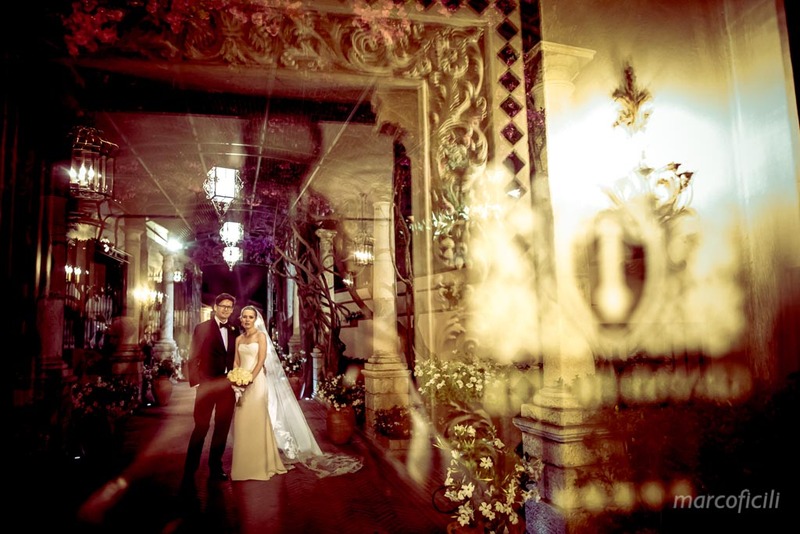 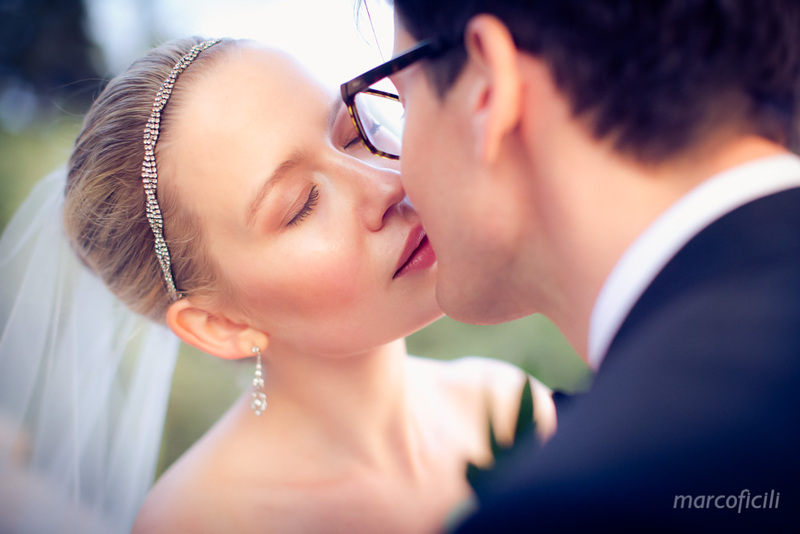 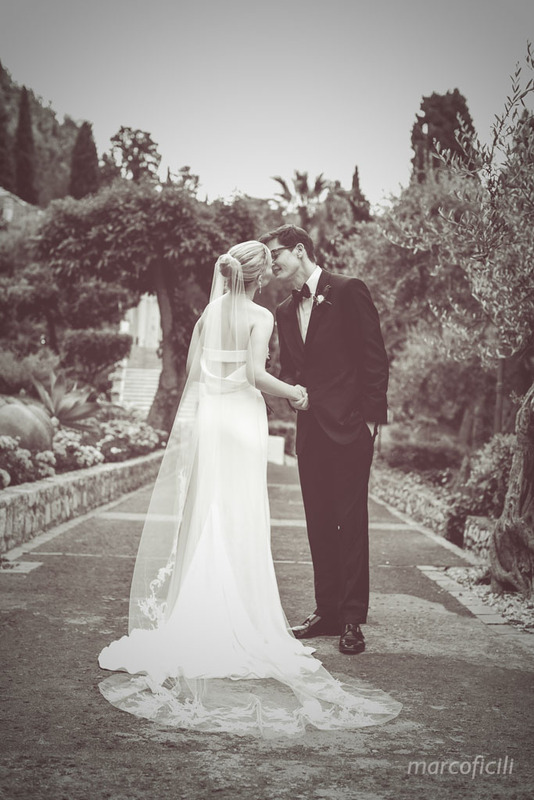 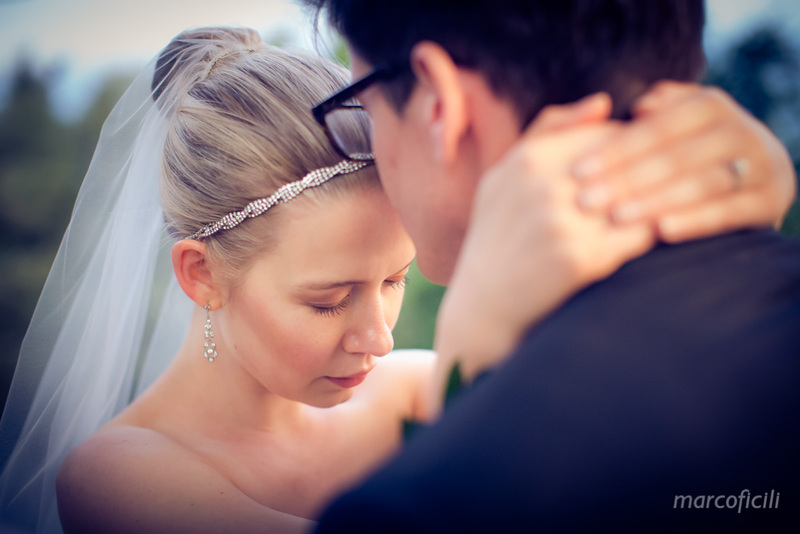 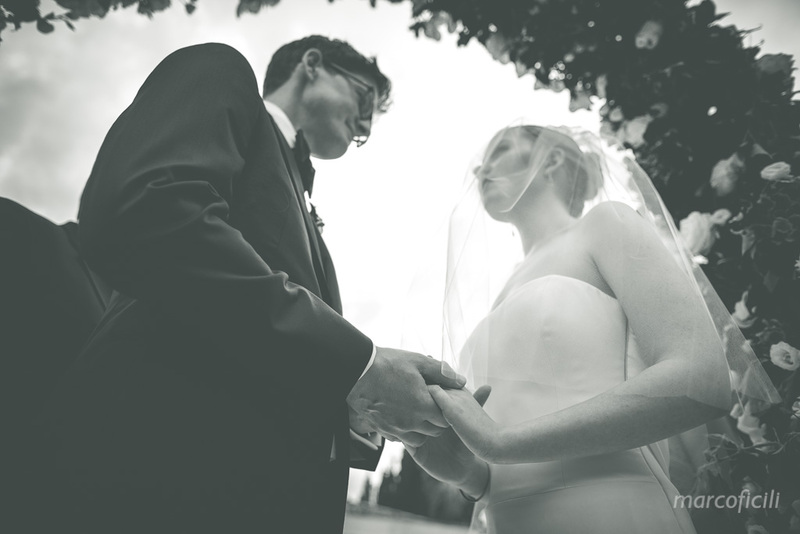 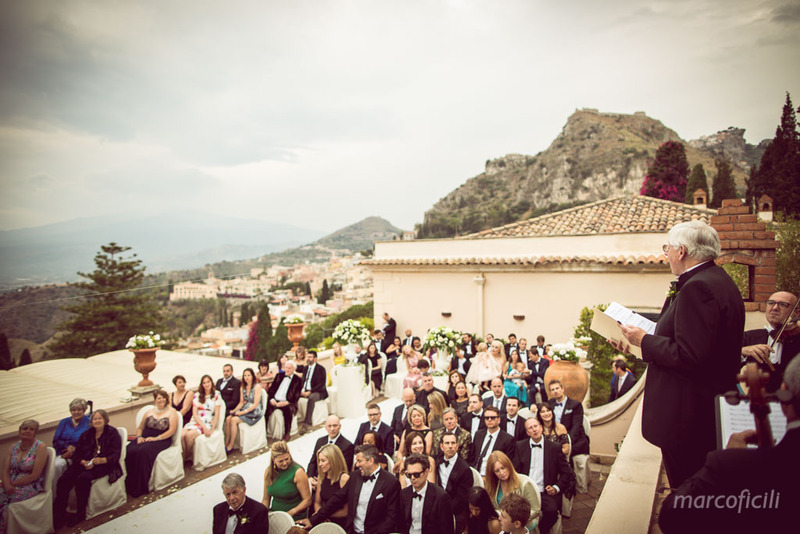 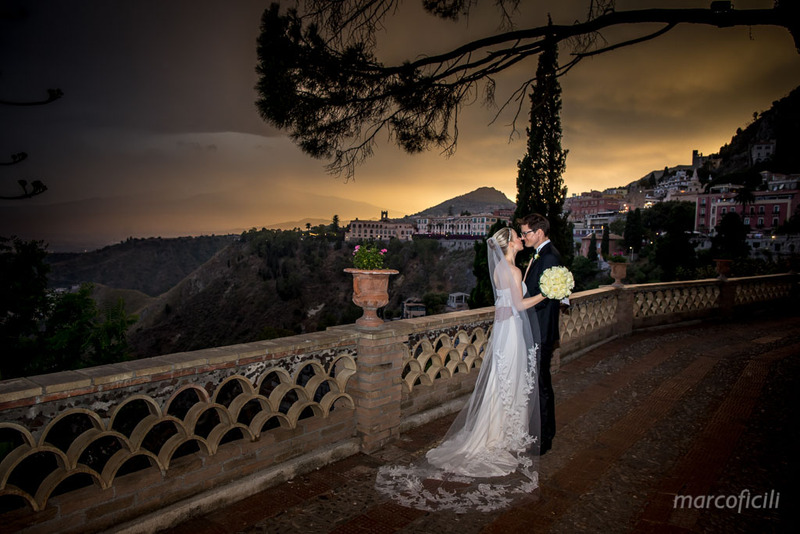 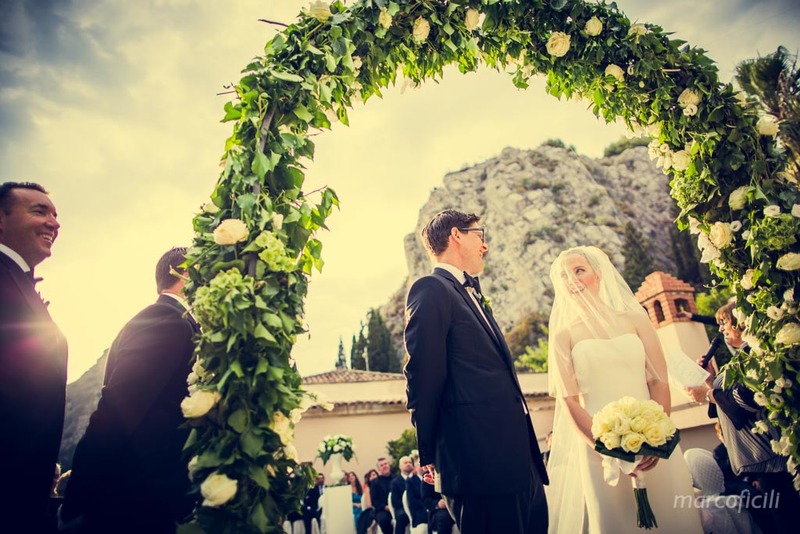 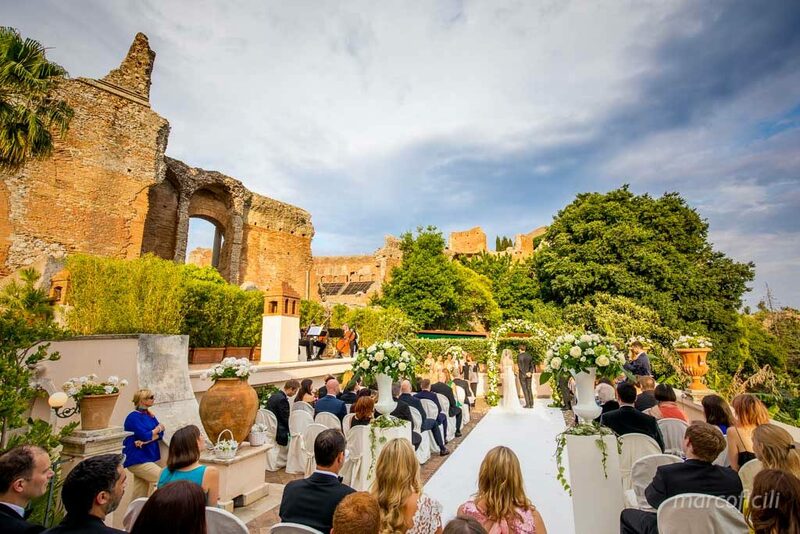 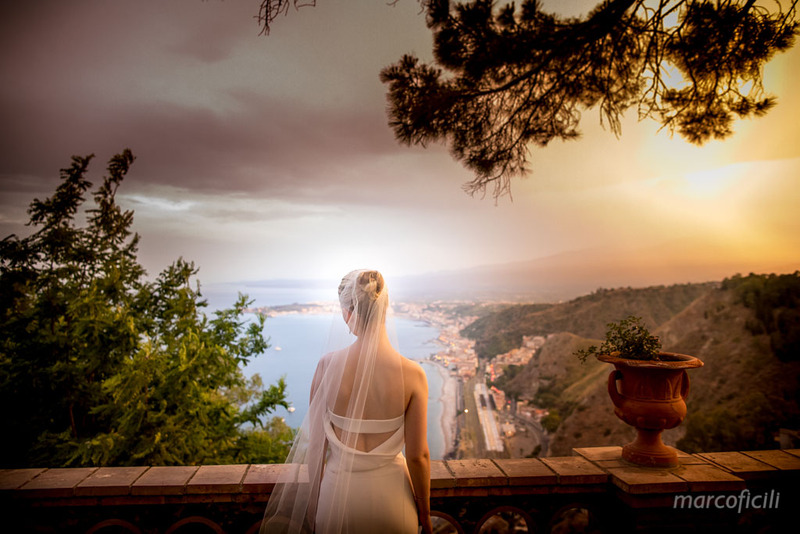 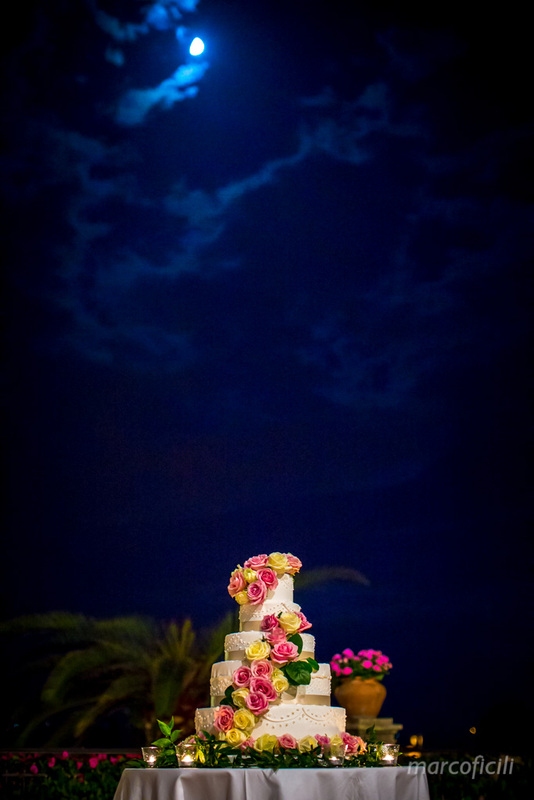 Wedding in the shadows of the Greek Theatre – Ian and Stephanie travelled all over the world and visited many places, but Taormina was their best choice to celebrate the Big Day and my Studio was chosen to tell a unique and unforgettable day. 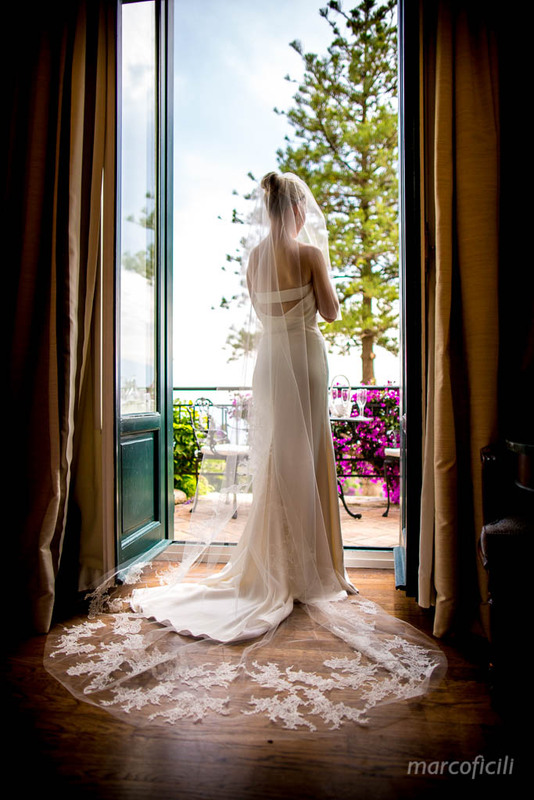 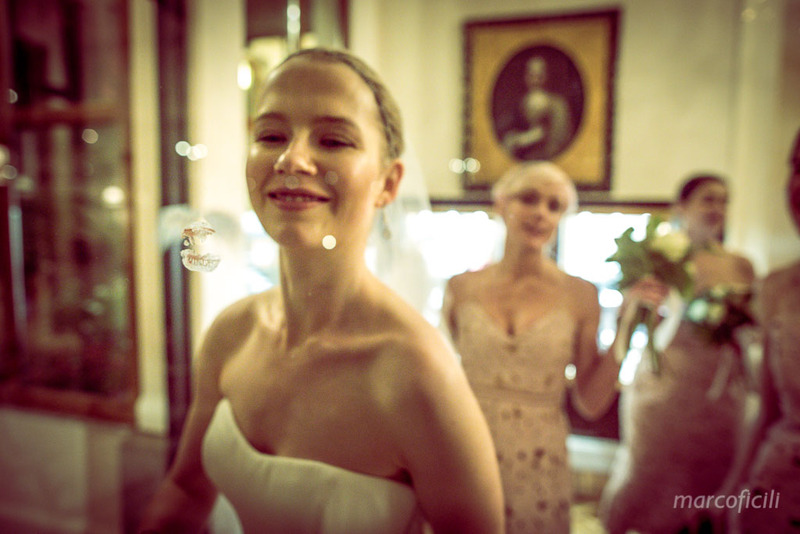 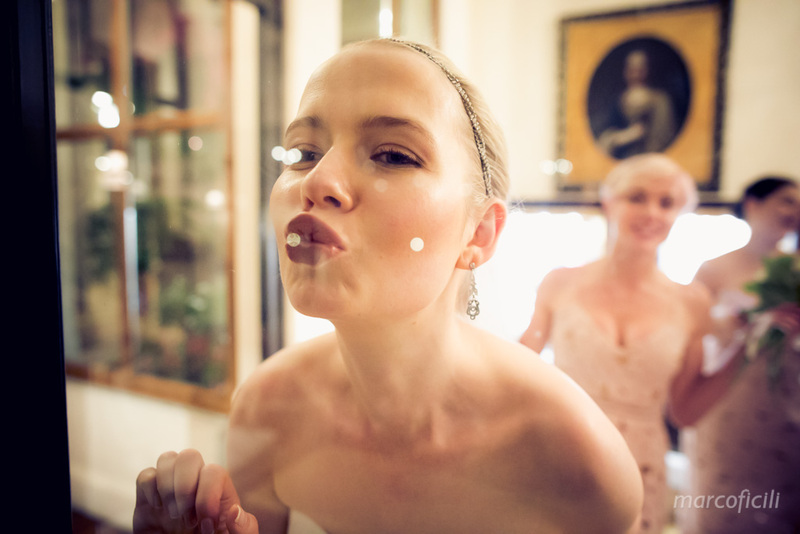 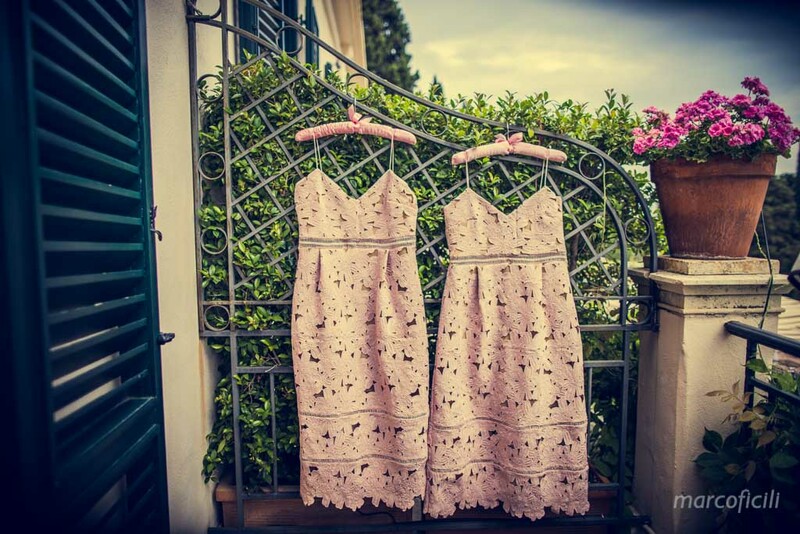 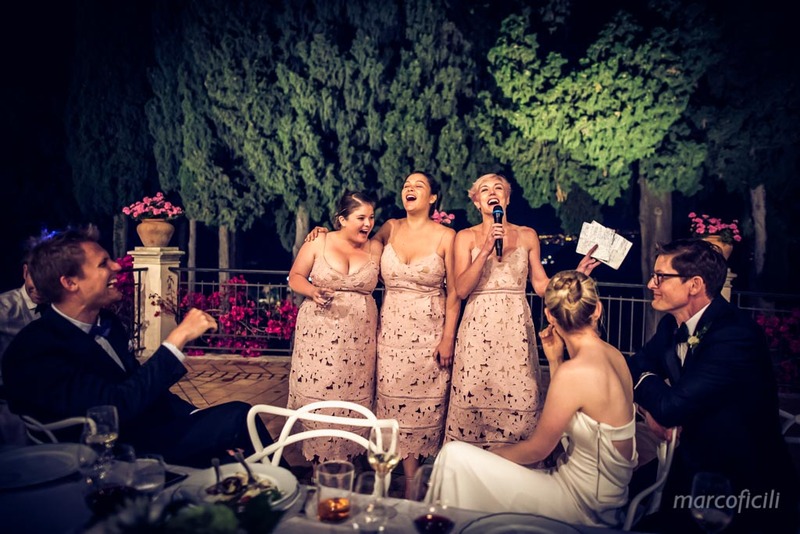 Stephanie, together with her gorgeous bridesmaids, got ready in one of the wonderful an luxury Grand Hotel Timeo suites in Taormina. 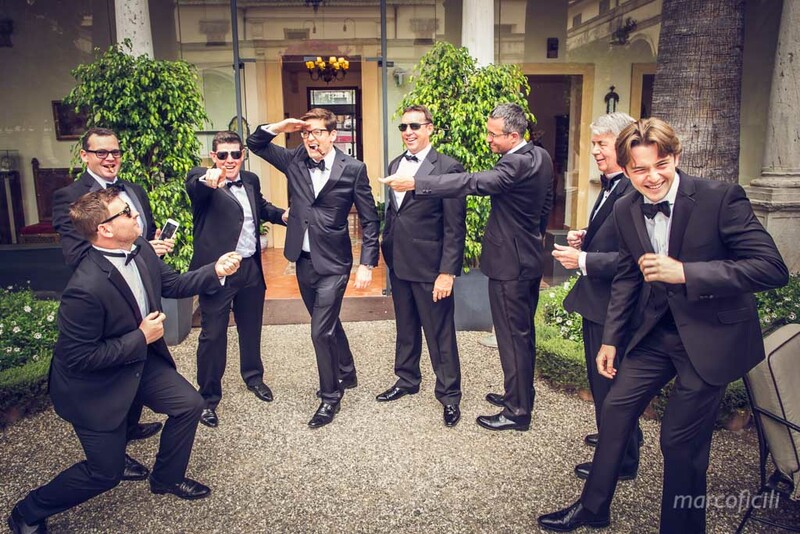 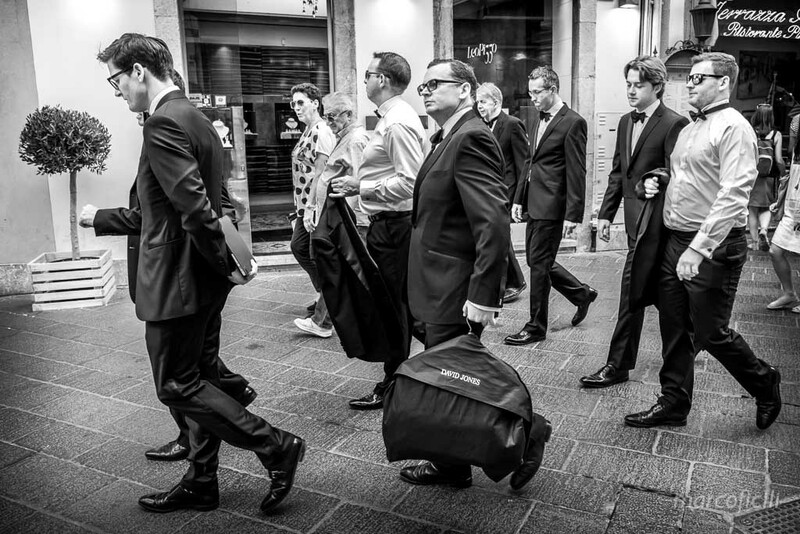 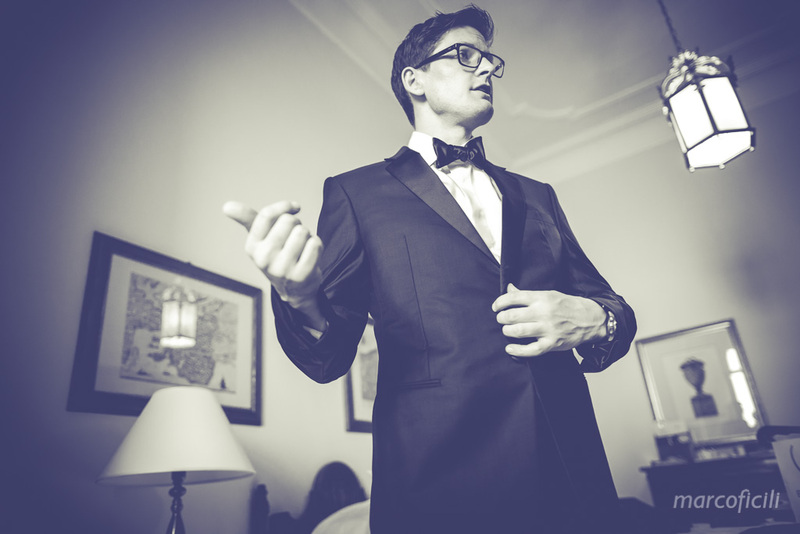 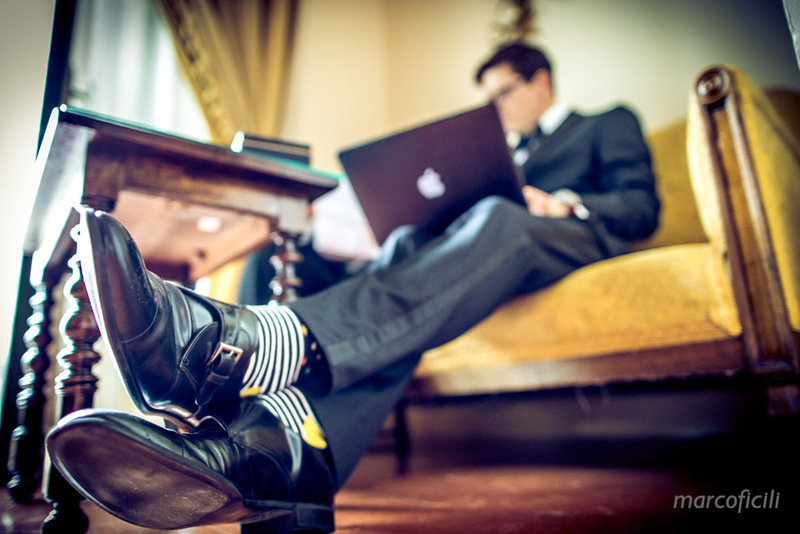 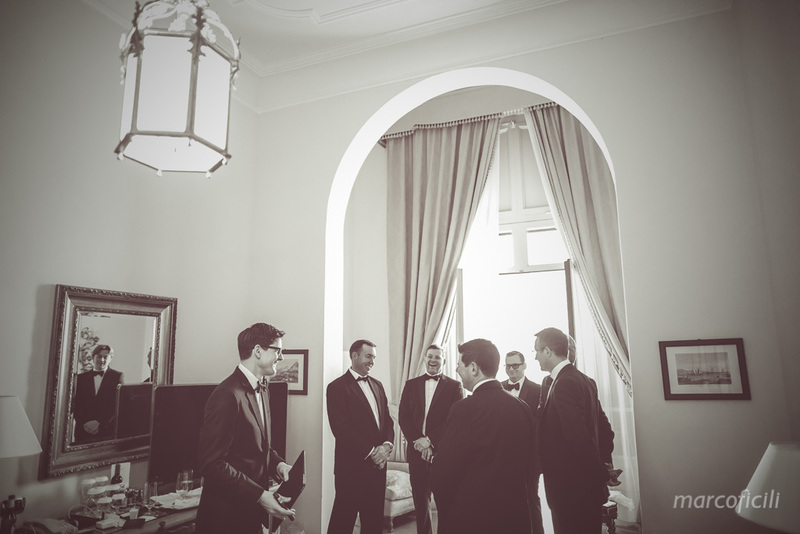 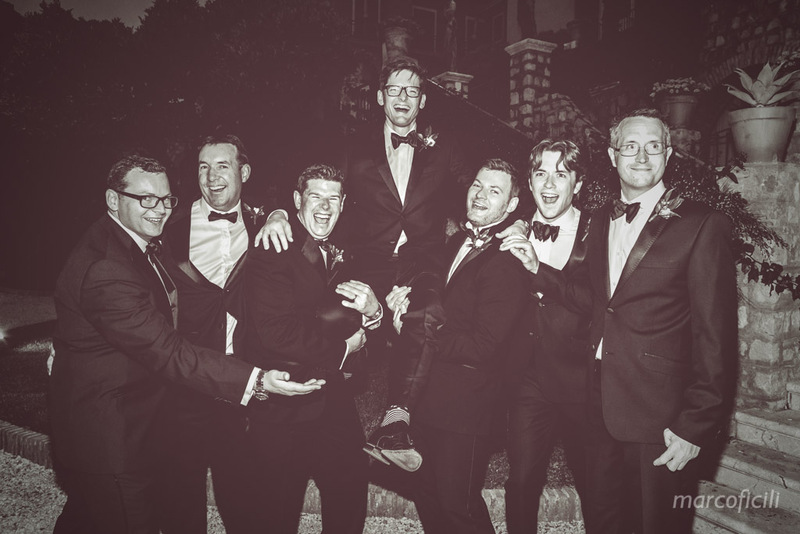 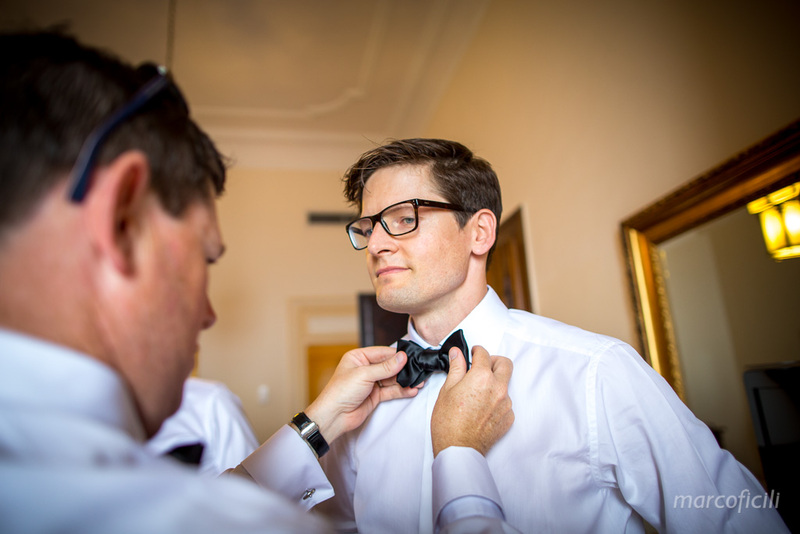 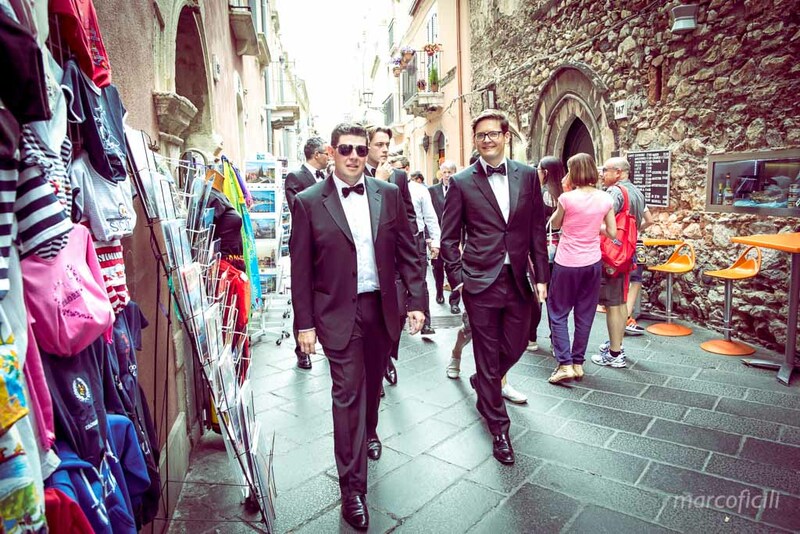 While Ian and his groomsmen got dressed in one of the elegant suites of the antique and prestigious San Domenico Hotel in Taormina. 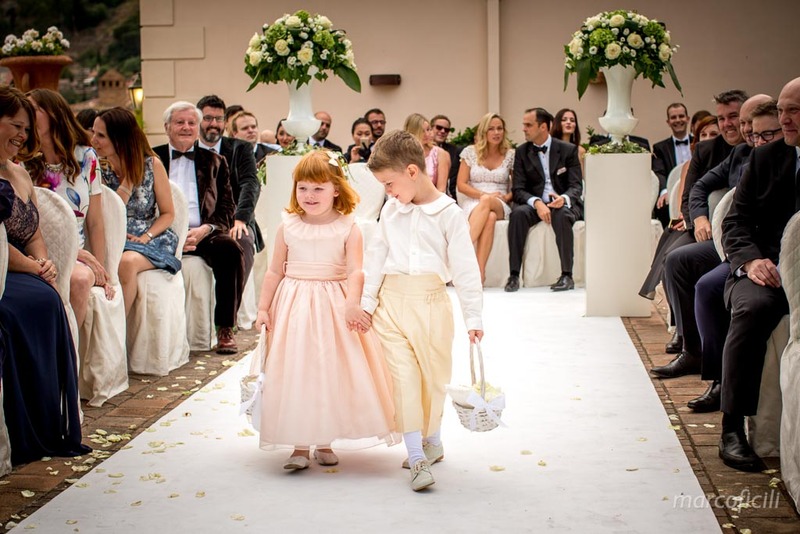 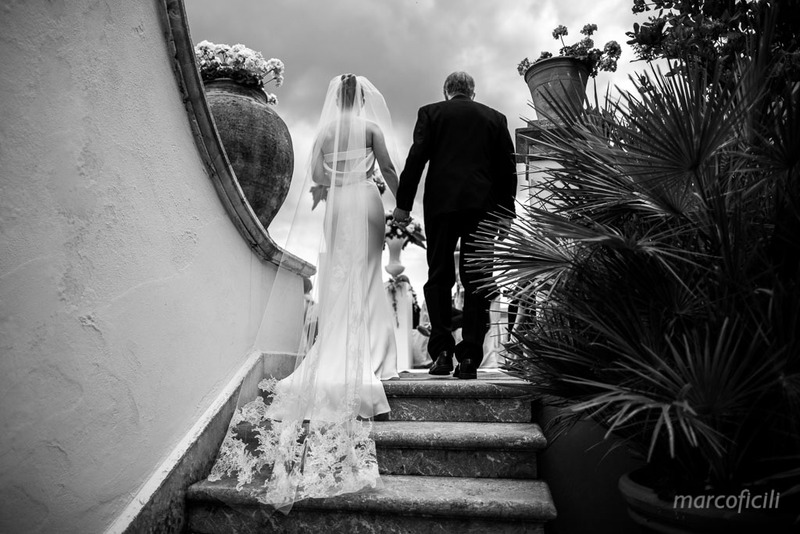 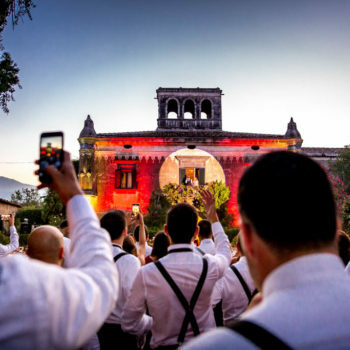 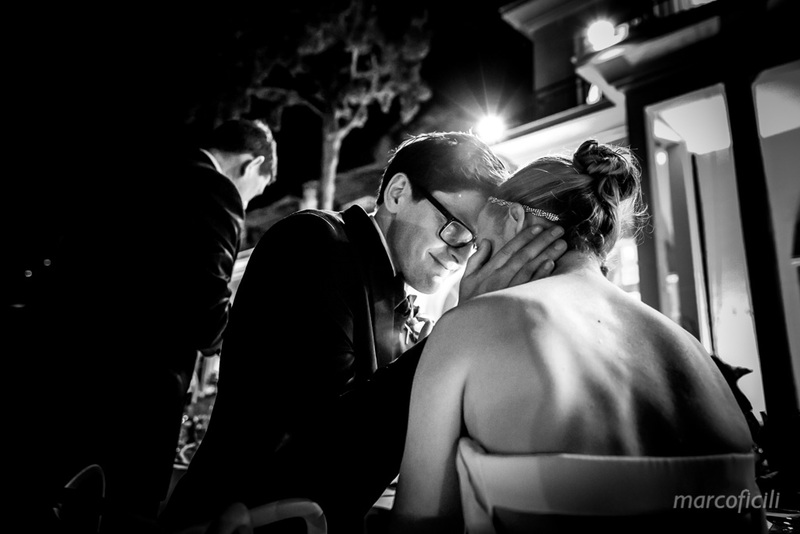 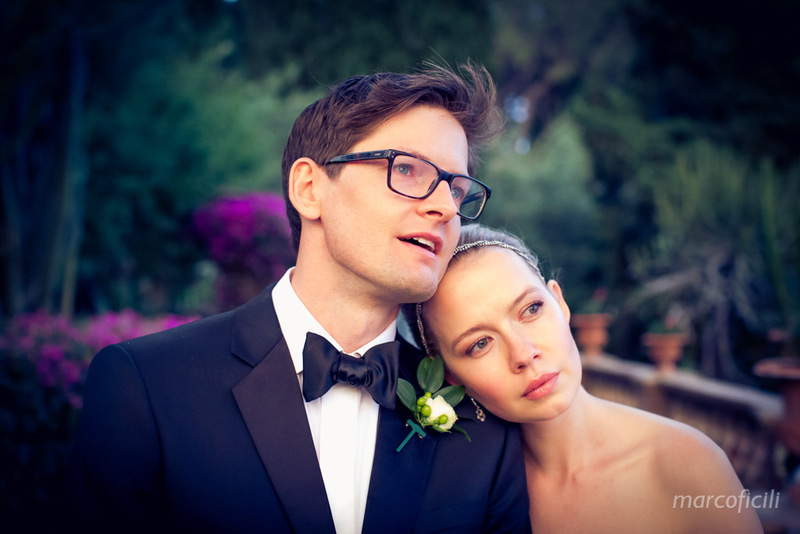 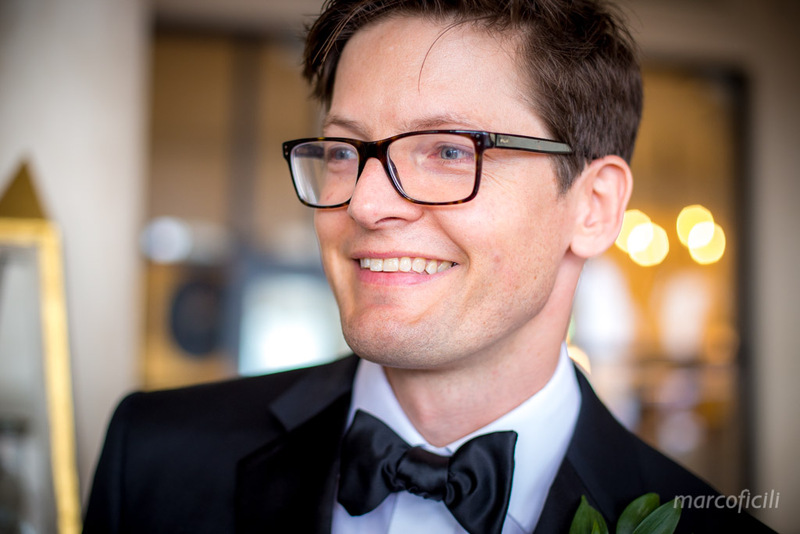 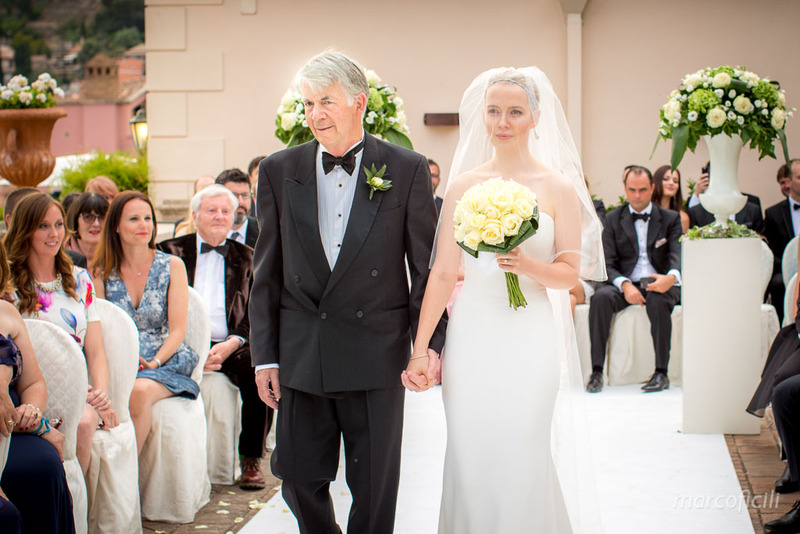 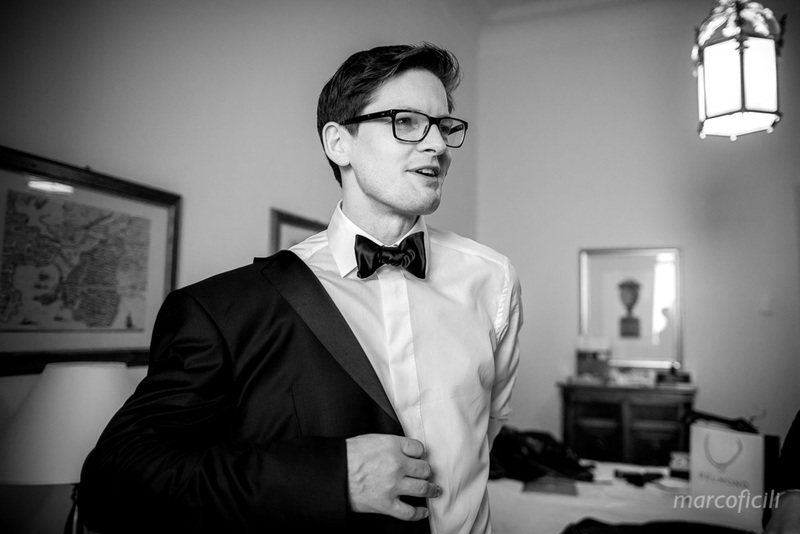 Ian was truly handsome in his black tuxedo, and walked along the lively Corso Umberto in Taormina to reach the spectacular Greek Theatre Terrace of the Grand Hotel Timeo, where he waited for his beautiful bride. 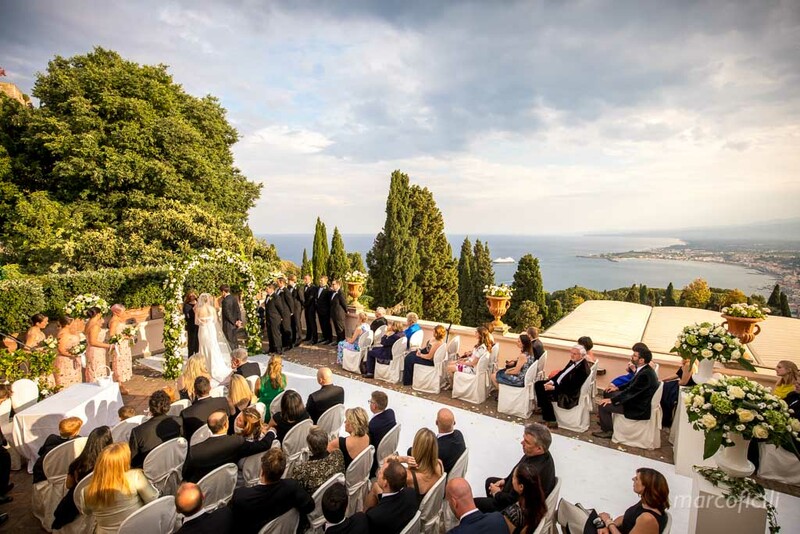 The wedding ceremony was celebrated over the sea, on the Greek Theatre Terrace. 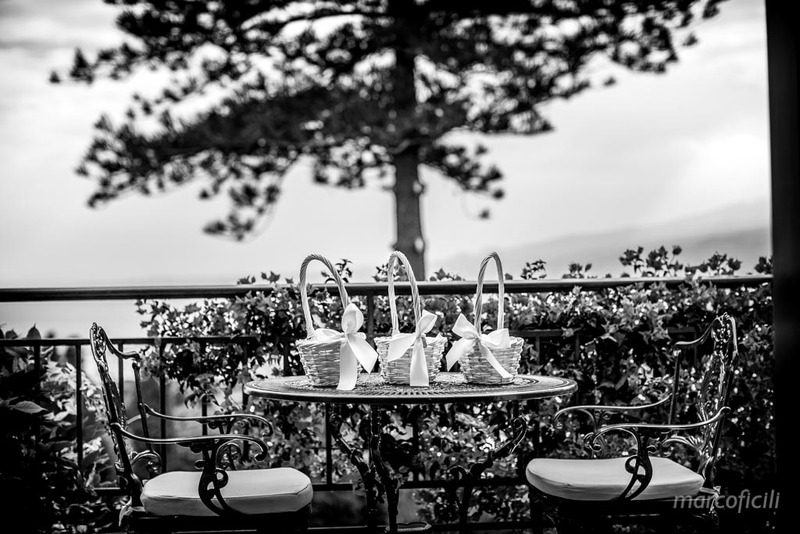 A corner of true paradise! 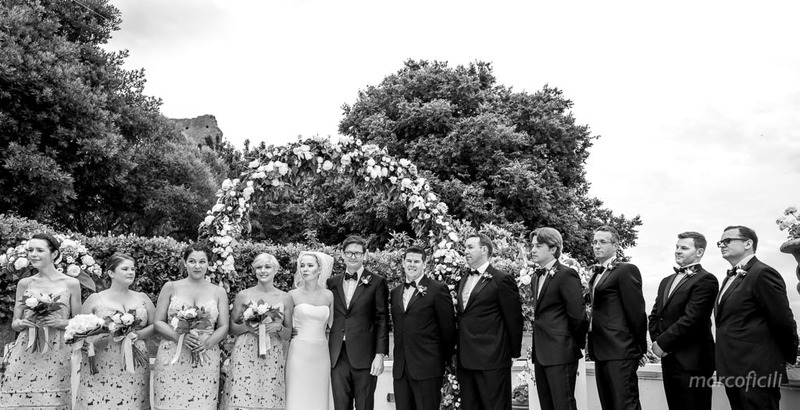 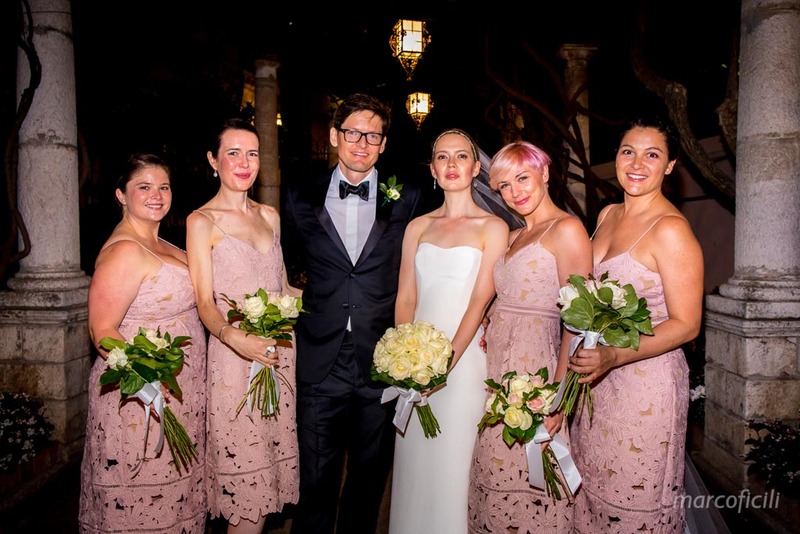 In the shadows of the antique greek theatre, the wedding couple celebrated their wedding together with their beautiful daughter and their close friends. 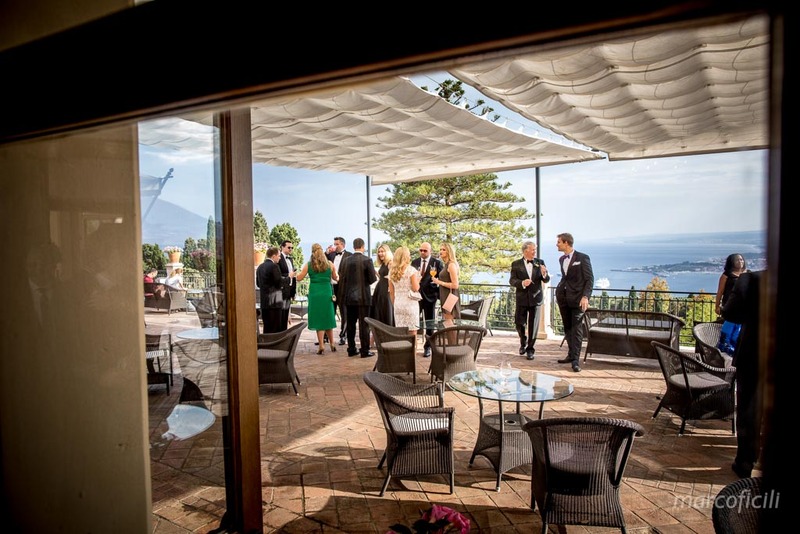 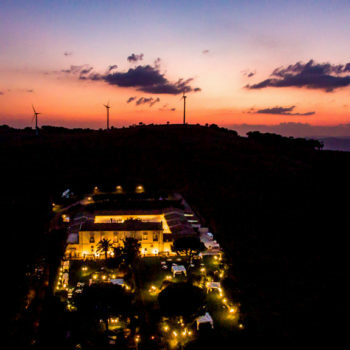 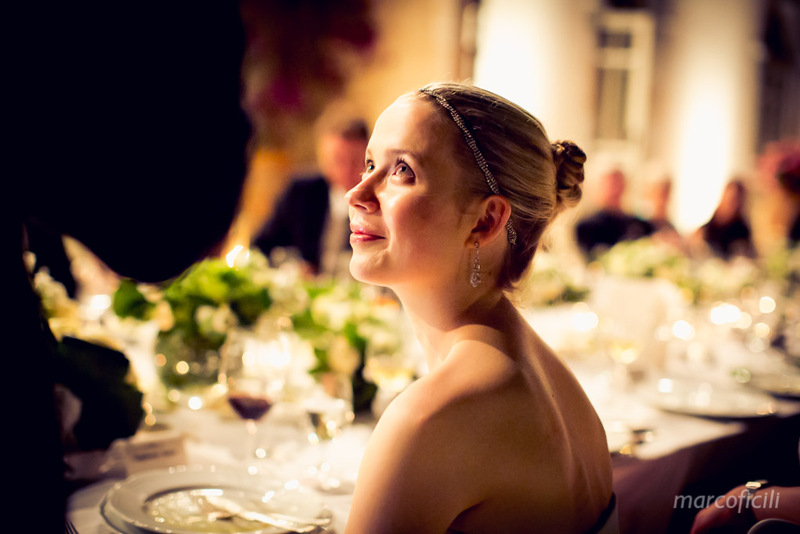 At the end of ceremony, they all enjoyed the amazing view and a great aperitif on the terrace of the Grand Hotel Timeo. 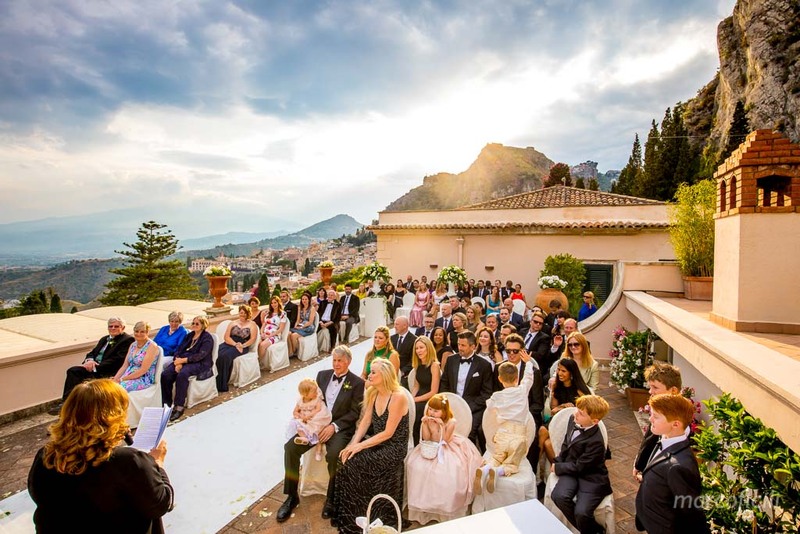 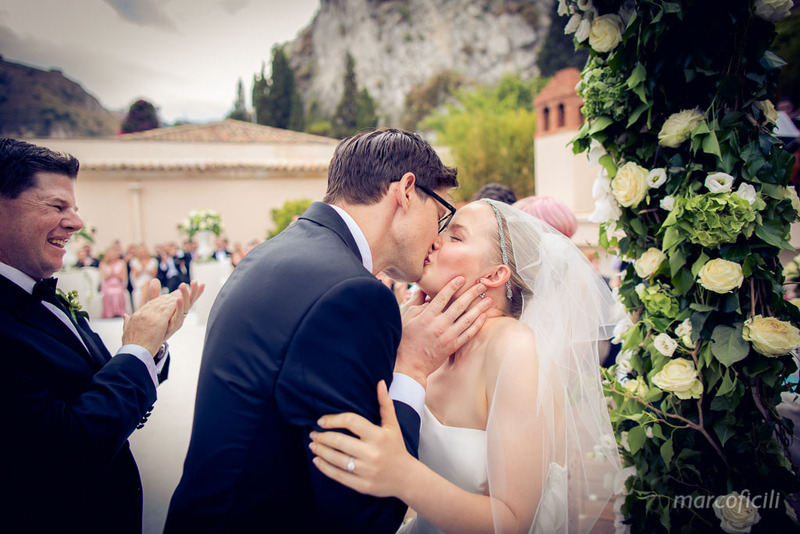 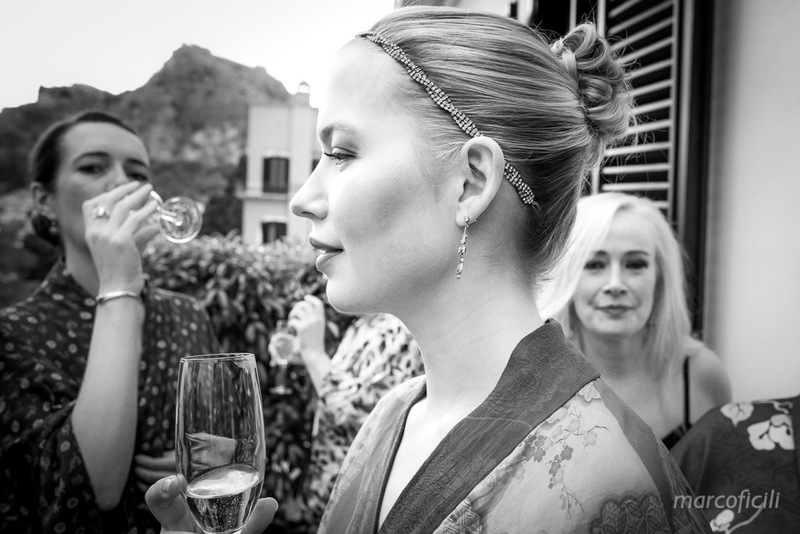 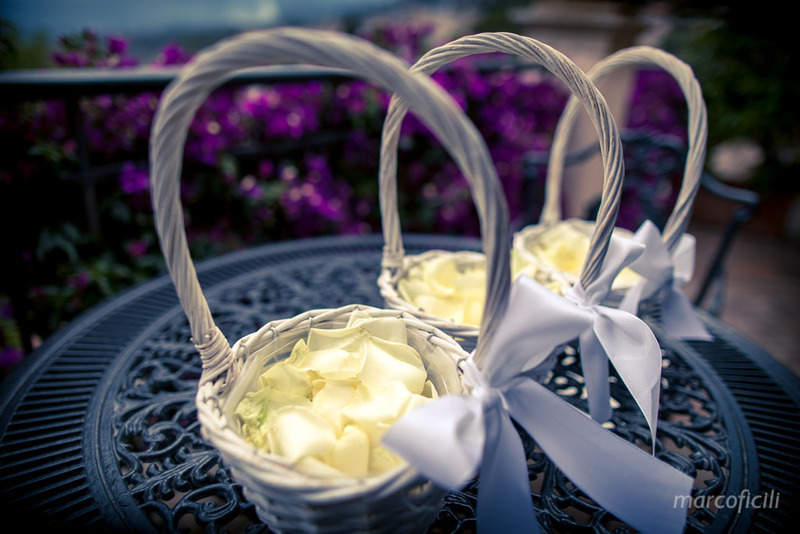 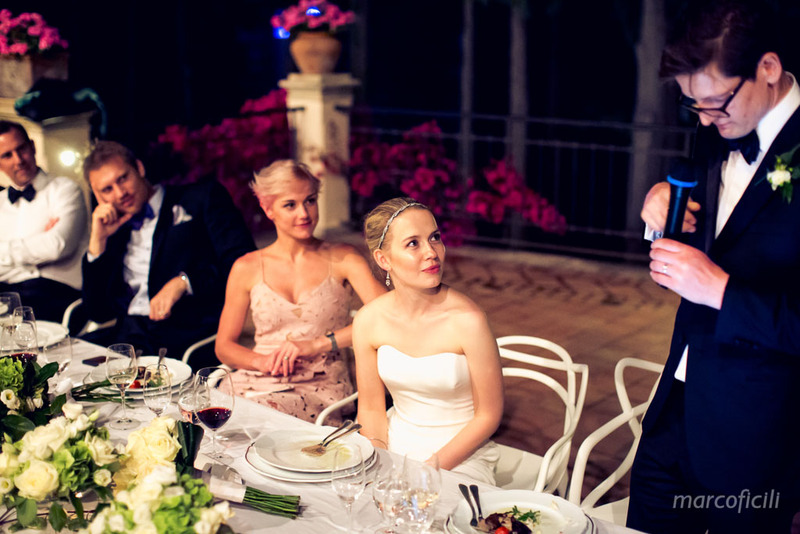 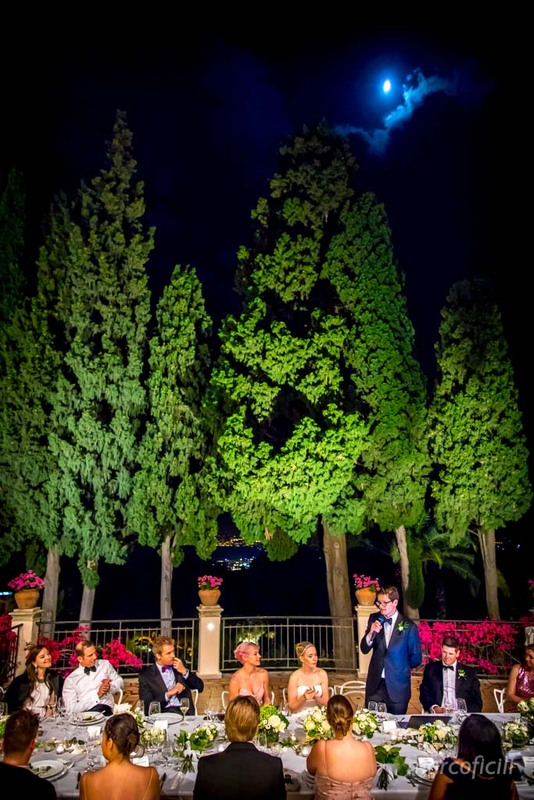 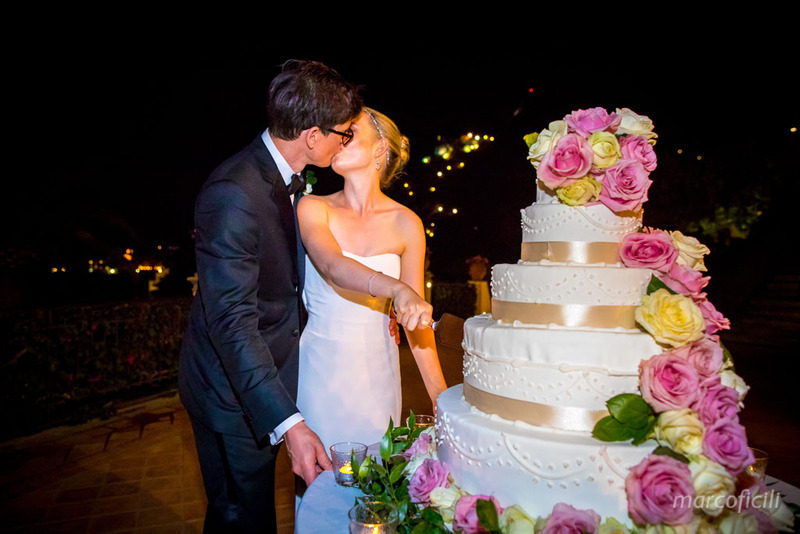 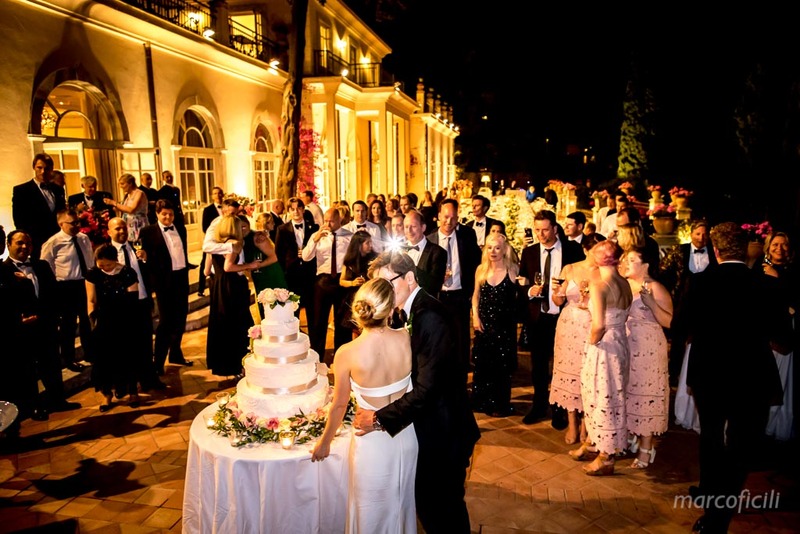 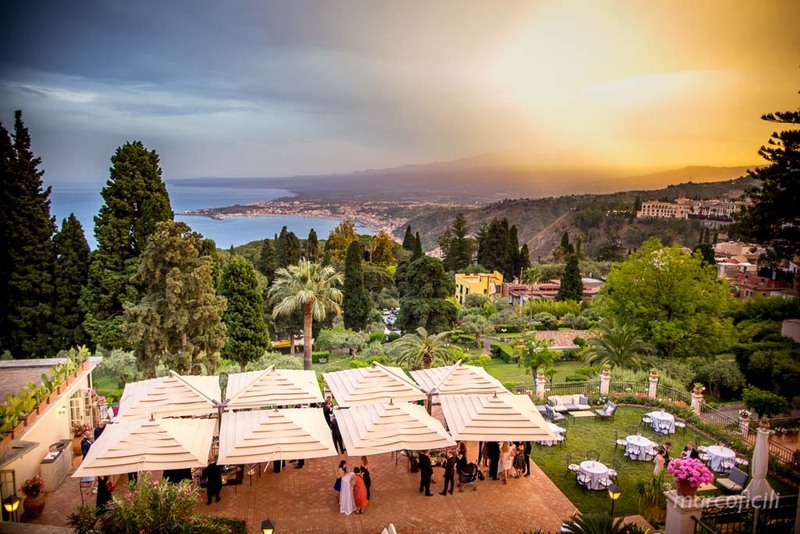 After a romantic walk through the alleys of the lush gardens in Taormina, Ian and Stephanie joined the Ganimede Terrace to taste a perfect Italian Style wedding dinner and everyone had fun dancing and singing! 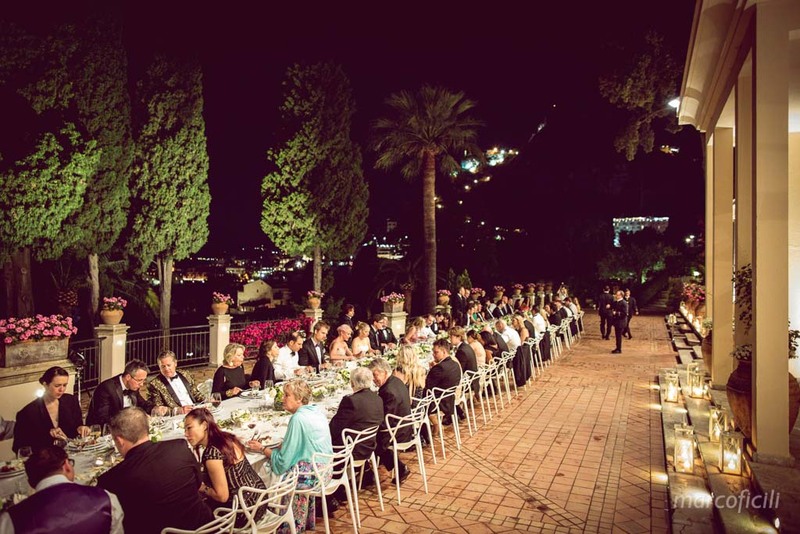 It’s been a super wedding party!